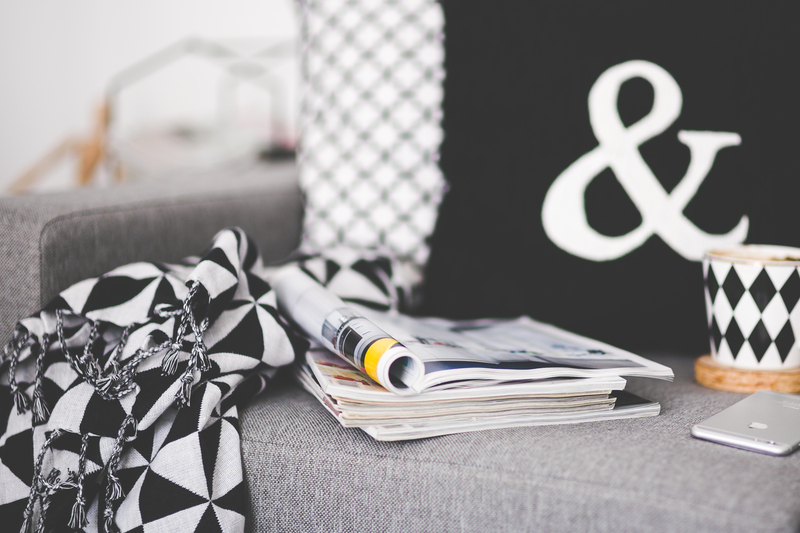 Summer is just around the corner; you maybe thinking of improving and extending your home. The easiest way to do this is by installing an Conservatory or Orangery; It fills the room with light, and can be a fantastic entertaining space, particularly in the summer months. 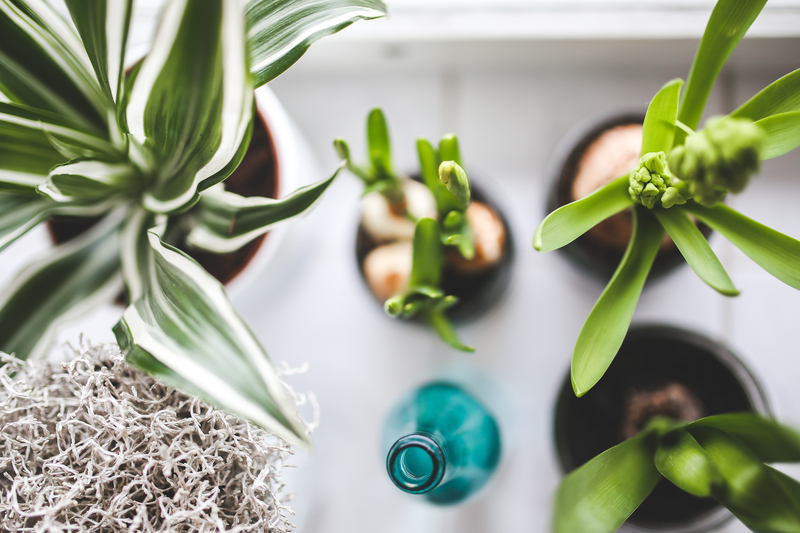 Many of you may have been Bombarded with terms such as 'Orangeries' 'Conservatories' and even 'Orangery-style-Conservatories' - This can leave you feeling confused; wanting to know - ' Is there even a difference?' Well the quick, simple answer is - YES. So what is the Difference and which one should I opt for? 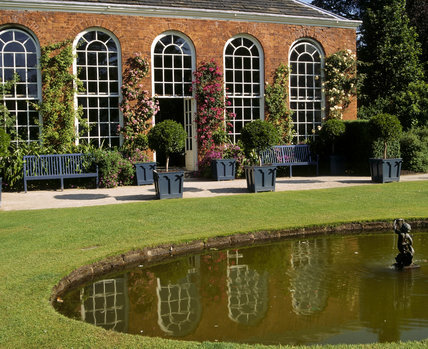 Dating back to the 17th century; Orangeries in the UK took influence from Europe, these opulent buildings were originally used in High-End, upper class homes to grow exotic fruits and plants all year round; Such-as Orange and Lemon trees, hibiscus and pomegranates...to name a few. Orangeries typically contained large amounts of brickwork with large windows, often south-facing, to allow optimum light through-out the room. Often seen in only extremely wealthy homes; having an orangery was a statement which truly emphasised opulence. 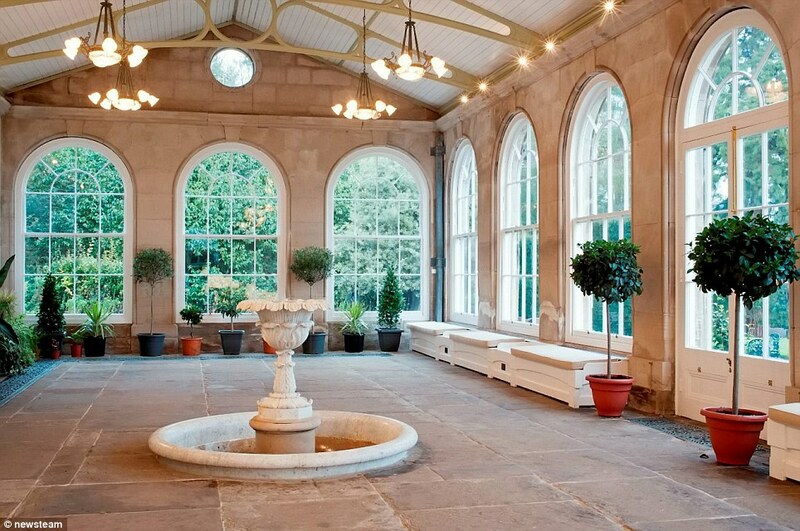 The earliest Conservatories recorded were dated, again like the orangeries, in the 17th Century. Often connected to a home, for support, rather than a stand alone structure - Unlike the Orangery that could be either attached to a home or stand as a separate building. John Nash designed four conservatories for Buckingham palace in 1825 to conserve exotic fruits and plants from all around the world; But it wasn't until the 19th century Conservatories became more popular (Due to the removal of taxable glass in the UK). 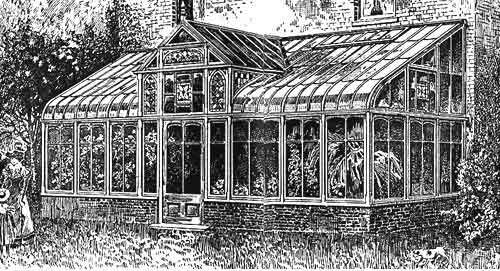 Conservatories were Glass structures with timber or iron frame-work with minimal brick-work and a glass roof to allow for optimum light and heat. 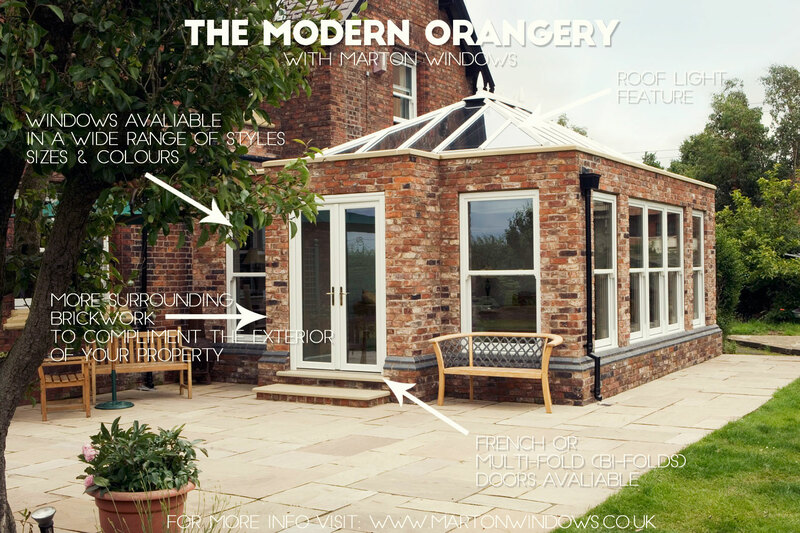 So how do the Orangeries and Conservatories compare to the traditional styles? Similar to the 17th Century Orangery; The Structure focuses more on Brickwork, but now has a beautiful Roof 'lantern' as a feature and a large number of windows. Unlike a conservatory a orangery can be an individual structure and doesn't have to be attached to a home for added support- You also could have it as a full extension to your home - without requiring patio or french doors as a separate room - It could merge into an existing room and flow through as an extension without a partition wall. This is used often in kitchens to create a large open kitchen-diner with a beautiful roof feature. Conservatories of today use a small Brickwork base with complimenting brickwork to the original property; and Glass surrounds with UPVC or Timber Framework, this usually incorporates windows in the form of top openers or side openers. The roof is typically Glass or Poly-Carb with aluminium capped UPVC frames. Conservatories can offer a beautiful open room and are fantastic for allowing light in. 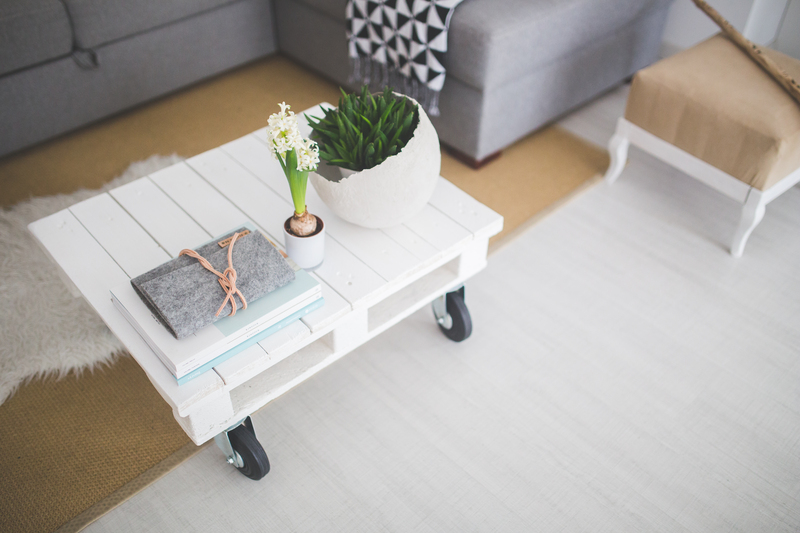 Planning permission is often not needed for conservatories, under a certain size (only requirements are building regulations) so can be a quick efficient way to create extra space in your home! - Orangeries have much more brick work than conservatories - and can be a stand-alone building or used as a extension to an existing room in your home. 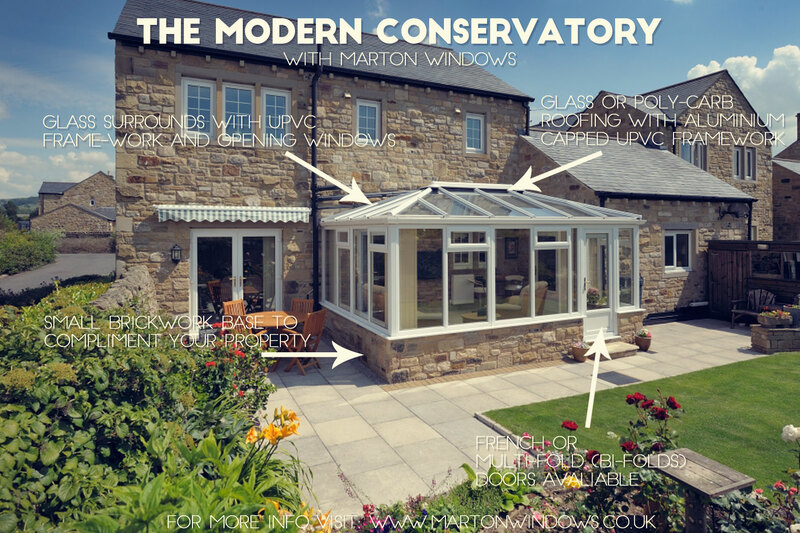 - Conservatories are mainly glass with upvc or timber framework with windows allocated in the frames and typically have a Poly-carb or glass roof. If you are interested in adding any of these to your home, then visit our website today at www.martonwindows.co.uk or alternatively if you seek some friendly advice off our experts call us on 01642 49 49 50.